Each member is a fan of anime, video games, and manga, making this idol unit of former hikikomori an entirely new kind of group. Dempagumi.inc gathered attention in Akihabara as a one-of-a-kind idol group, beginning with the shocking lyrics in their January 2013 self-introduction song “W.W.D,” “ijimerare heya ni hikikomotte ita” (“tormented, I hid in my room”). Their performances weren’t about hiding the parts of themselves that were weak but triumphing over those with all of their strength, and they earned a lot of empathy with their audience. Their May 2014 performance at Nippon Budokan was sold out with around 10,000 viewers. 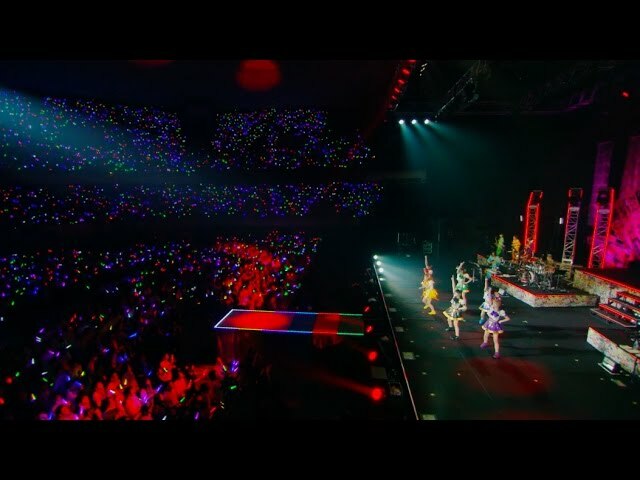 After their successful performance at Budokan, Dempagumi.inc was more pumped up than ever and went to 12 cities around Japan in 2014 on a live house tour. They also took part in a number of summer festivals, acquiring even more new fans and establishing themselves as major idols. Then, in February 2015, they performed for two days at Yoyogi National Gymnasium for a crowded audience of around 20,000 people. After that, they went on a hall tour with 27 performances at 24 locations nationwide, which was a huge hit. The girls’ concerts captivated everyone as they performed frantically with everything they had, but as they gained more and more experience, those frantic girls had grown into true professionals before people even realized it. 2016 started off with another hall tour which included 30 stops, followed by a joint gig of 12 performances in 11 cities that summer, as well as summer festival performances, keeping them extremely busy. Recently they’ve been working not only as a group, but doing a lot of other activities, as well. Nemu Yumemi has been doing photogravure and performing in dramas and films, as well as directing promotional videos, publishing cooking books and compilations, and Pinky! (Ayane Fujisaki) has even made her debut as a designer for an apparel brand, while Risa Aizawa has worked as a curator for an art exhibit, Mirin Furukawa has worked at game events inside and outside Japan, and Eimi Naruse has a program in which she introduces her favorite manga. Each member has been showcasing their unique talents. These six girls are once again coming together on the big stage for their greatest performance yet. It’s one that everyone can enjoy, set on an inside-out toybox-like stage as the curtains rise on a happy new year.